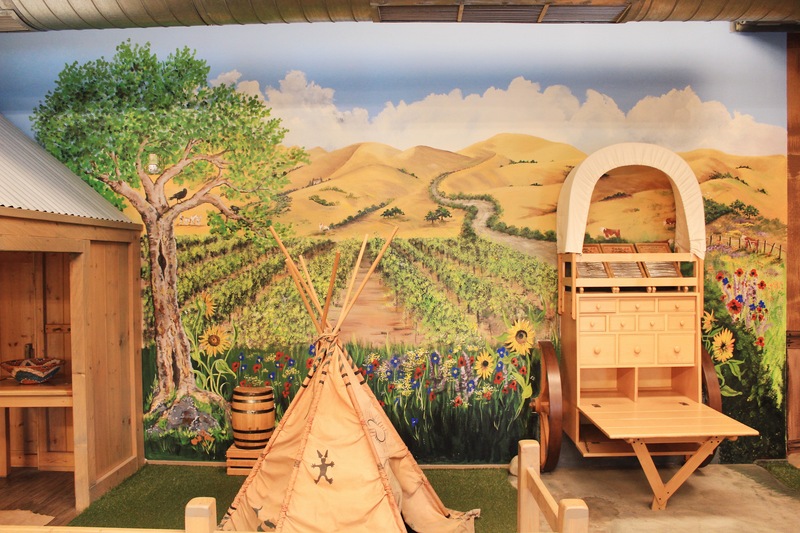 Part of the Our Valley exhibit, you can settle into the bunkhouse for a game of checkers or to play the harmonica while exploring one of our Discovery Boxes available for check out at the front desk. 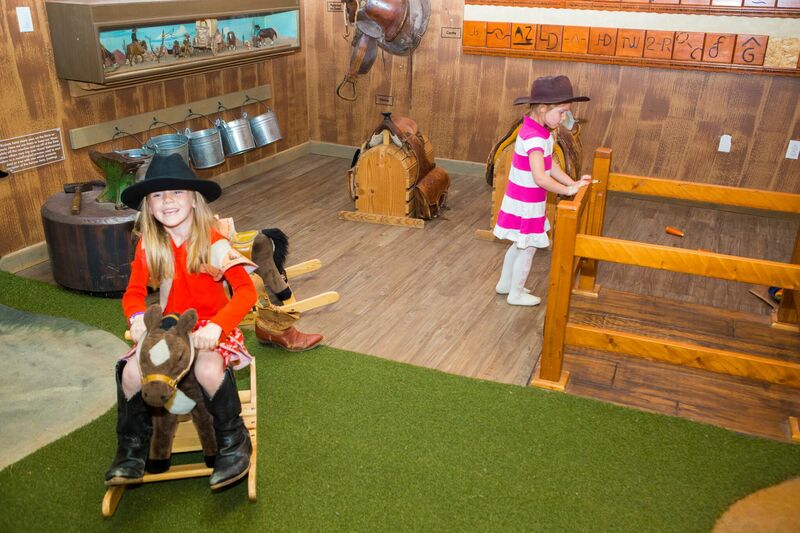 If you are part of the younger set, saddle up a rocking horse and ride while the grown-ups sit by the campfire and contemplate cowboy coffee and stone soup from the chuck wagon. Watch out for the bear downstream from our Discovery Sycamore Tree.